Earlier this summer, a discovery was made at the site of the future Historic Broadway Station, one of three new Regional Connector stations. While performing station excavation, crews discovered a large bone that likely belongs to an extinct Miocene-aged whale that lived approximately 10 to 15 million years ago. With an appreciation for the scientific value of fossil preservation and various government regulations, Metro has hired paleontologists at each project to monitor excavation efforts and identify and preserve fossils when needed. 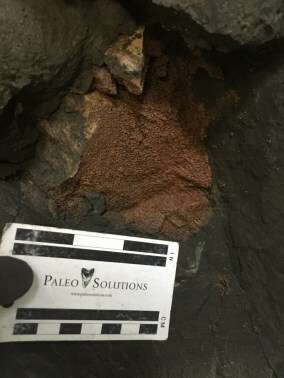 To learn more about the discovery, we contacted Paleo Solutions’ principal paleontologist Courtney Richards, M.S.